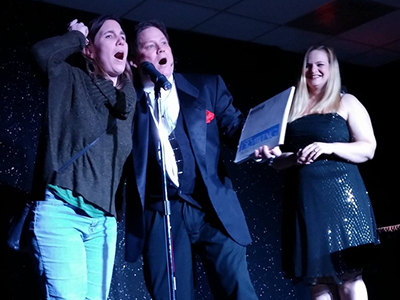 Why Book World-Caliber Magician Mark Benthimer? Voted Portland's Best Magic By Willamette Week ! Expect professionalism, We realize that every event and venue is unique in its own way. We customize our performance for each audience. We ask questions and do our homework and that allows us the rare ability to give you the absolute finest in Magical Entertainment. 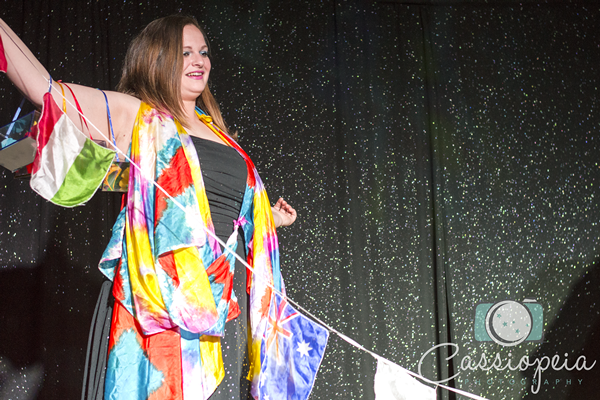 Your guests will laugh, they will be in awe and they will experience total entertainment. We provide everything needed, lights, sound , all personnel and the finest production quality in the business. Be it an intimate cocktail party , a business meeting /trade show, or the largest Illusion show, we will help you make your event a hit ! Mark Benthimer's journey through magic has taken him from a kid working the children's party circuit in California, to opening for rock legend Sammy Hagar at his new millennium concert in Cabo San Lucas, Mexico to headlining in casinos as the star of his own illusion show. 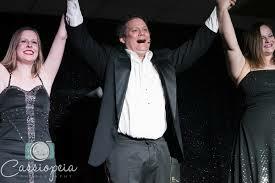 Currently Mark is the star of the All American Magic Theater in Portland Oregon. But this magic shop owner and former Marlboro Magician's career almost ended at age 13 when he became the FBI's most wanted magician. Unaware that direct mail advertising and use of mailboxes are federally regulated, young Mark set out stuffing business cards and brochures into neighborhood mailboxes. His address on the cards made him easy enough to find, but when the FBI knocked on his door they were surprised to find their lawbreaker was barely past puberty. They let him off with a warning and his promise to find a new way to advertise. He did and the rest is history. 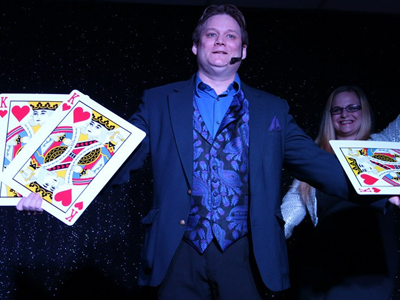 Working as a professional magician since age 19, Mark has traveled throughout the United States, Canada and Mexico performing close-up magic and stage illusions. His clients include Coke, Nike, Intel, HP, NBC, Microsoft, Panasonic, The Portland Trailblazers, Mentor Graphics, Phillip Morris, Chinook Winds Casino, IBM, and many more. Producing & Promoting a huge magic festival called Magic Fest, Mark built a successful event featuring over a dozen magicians on five stages. Magic Fest had a run of many sold out performances where Mark shared the spotlight with World Champion Juliana Chen, World Champion and IBM Champion Joe Givan, Amos Levkovitch and magic legend Paul Harris. Mark has since shared the stage with other greats of magic including Billy McComb, John Carney, Mark Wilson, Stan Kramien and Ali Bongo. He was also chosen to hire talent and schedule all events when the Pacific Coast Association of Magicians awarded Portland, Oregon the honor of hosting its annual convention in 2000. It was the highest event attended ever. 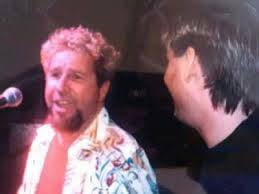 Mark shares the stage with Sammy Hagar. All American Magic is Oregon's #1 host of lectures from the world's greatest magicians and teachers of magic. Book Mark Benthimer for your next event!